Your investments change as your child does. When their children approach college age, investors often switch their priorities from growing college savings to preserving it. That's the goal of our Year of Enrollment Option. 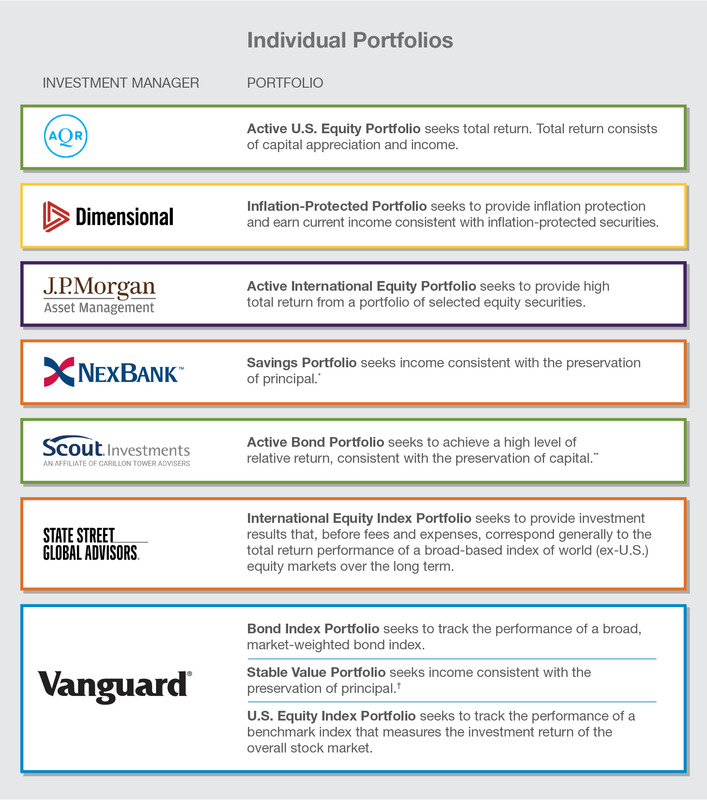 It automatically rebalances your asset mix to a more conservative portfolio as your child nears college age. You could lose money by investing in a portfolio which includes the Vanguard Short-Term Reserves Account which in turn invests in the Vanguard Federal Money Market Fund as well as Funding Agreements and Synthetic Investment Contracts (SICs). Although the money market fund in which your investment option invests (the “underlying fund”) seeks to preserve its value at $1.00 per share, the underlying fund cannot guarantee it will do so. An investment in this investment option is not insured or guaranteed by the Federal Deposit Insurance Corporation or any other government agency. The underlying fund’s sponsor has no legal obligation to provide financial support to the underlying fund, and you should not expect that the sponsor will provide financial support to the underlying fund at any time. 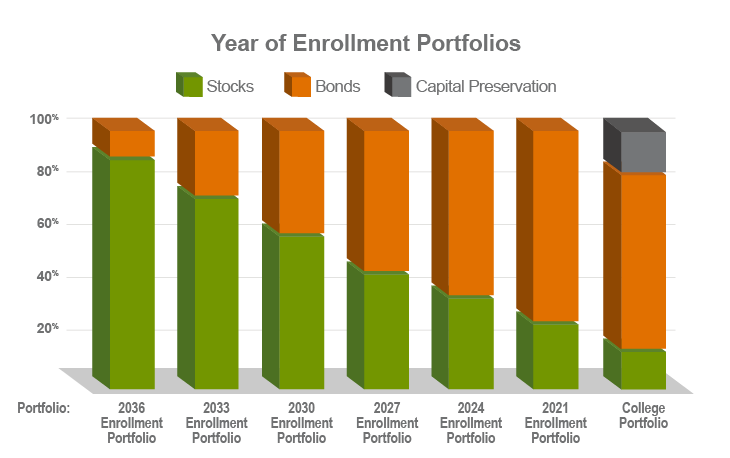 The Year of Enrollment Portfolios’ investment in the Stable Value Fund is not insured or guaranteed by the Federal Deposit Insurance Corporation or any other government agency.